In the middle of the night Mi So rushes to the market as she seems to be hearing her daughter cry. She yells out to Hae Ram that she is there, but there is no Hae Ram and the crying only continues. Mi So crouches down and tells her daughter to come out now and stop hiding as Mi So cannot live without her daughter. It’s suffocating. Min Jae rushes up and tells his wife to stop it. Mi So can only cry and say their Hae Ram can only sleep after Mi So sings her a lullaby. What will happen now? Hae Ram must be so upset and scared. The two return to the Lee house where the officer in charge of the case asks for the necessary information about Hae Ram and a recent photograph. Myung Ja says they will do whatever it takes to help and cooperate to get her granddaughter back, but the police must not leak the information to the press without the family’s consent first. Meanwhile, the officer asks if there is anyone who might have a grudge against the Lee family as there are two reasons for kidnapping most of the time: money or revenge. Has there been any serious recent arguments? Myung Ja and Min Jae cannot think of anyone. SERIOUSLY? What just happened earlier that day? Shakes head. But then again…I suppose given all the turmoil of Hae Ram’s disappearance, it would be difficult for them to recall the recent problem with Na Young. What about in business? Myung Ja asserts that CK is very ethical in their business dealings and have no rival company out to get them. The officer tells them to think carefully as what can seem a small, trivial matter to themselves might not be that way to the opposite party. This angers Myung Ja and she nearly passes out again. Min Jae takes her to lie down and Myung Ja recalls the incident earlier with Na Young. She calls out for her son who comes rushing in. She’s just thought of something—Han Na Young! What about her? Didn’t Officer Choi say that another party might carry a grudge against them? Myung Ja then reveals she screamed at Na Young and slapped her in front of the other employees. Min Jae is shocked as he didn’t know this. Myung Ja says the girl had a crazy look in her eyes…could she have done something like this? Min Jae doesn’t think Na Young is that bad of a person. Are you kidding me? However, Myung Ja does take this and say she’s desperately grasping on straws. Aigoo. No, you are on the right track. 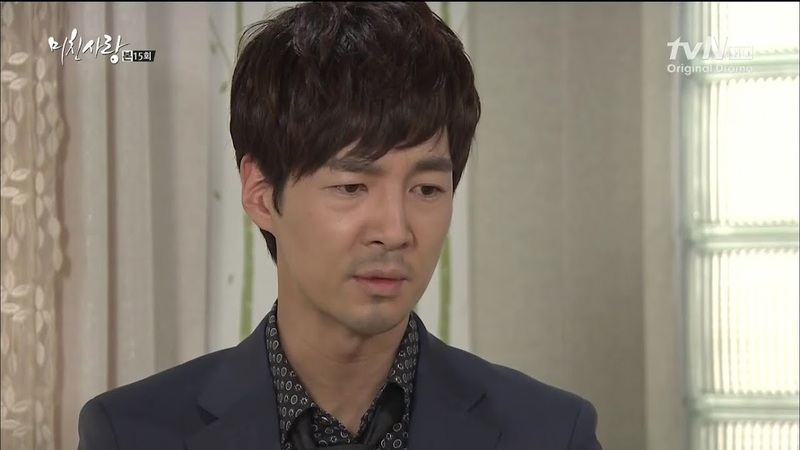 Of course, Min Jae starts thinking twice about what his mother said about Na Young being a sly fox who holds a grudge. 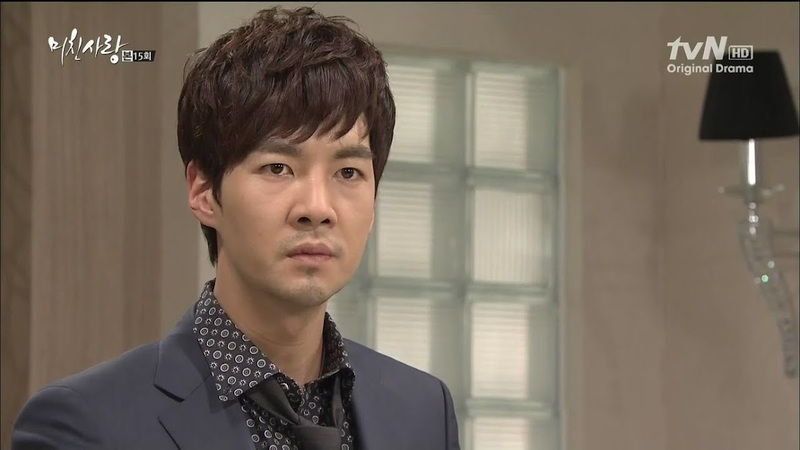 He then remembers Mi So talking about how it seems Na Young/Sun Hee holds a grudge against her because of the adoption. Min Jae then rushes out to Na Young’s apartment. This makes her happy as the Lees are falling right into her trap. She lets Min Jae in and asks if he’s there to comfort her out of pity. Min Jae sees the wine bottles strewn around. Did she drink? How could she not after what happened? Min Jae then asks if where she went after work. Na Young gets all angry. Such a great actress this character is. Playing all ignorant and such. She demands to know why Min Jae is asking all these questions and he lets out a sigh. That’s right. It can’t be her. Na Young demands to know what happened. 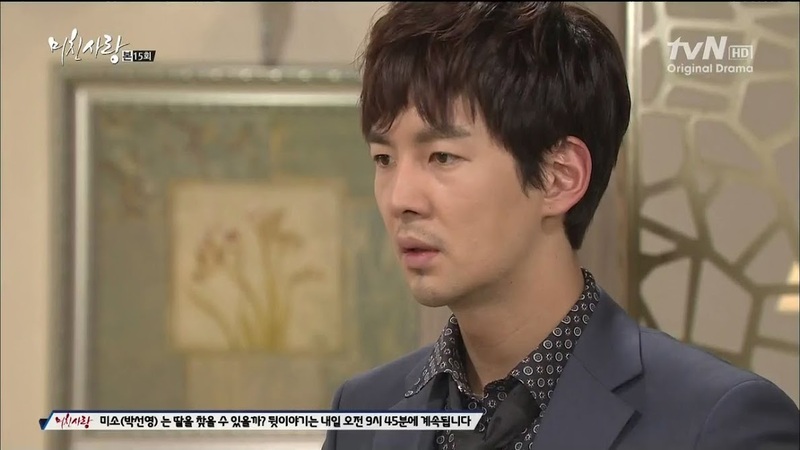 Min Jae sits down and tears up. His Hae Ram disappeared the other day. Na Young feigns surprise and worry. How could that happen? She demands to know how Hae Ram went missing and Min Jae can only sob. She gets up and hugs him to her. She pretends to cry as well and asks how such a thing can happen as it doesn’t make sense. Lying little witch. Mrs. Go is upset to learn the board meeting is cancelled as both Min Jae and Myung Ja didn’t come in. Go demands to know if there is a problem about Han Na Young. Ko assures her this isn’t the case, but he is not allowed to say what the problem is. Go gets all defensive and shouts at him. Since she’s responsible for all matters when Myung Ja is away, she needs to know everything. Right. Well…this has nothing to do with the company, so I don’t get why Ko caves in and tells her about the missing Hae Ram, but he does. At least Go isn’t evil. She gets very upset to hear Hae Ram is missing. She then tells Ko to make sure he doesn’t let the employees know or the public. Go then flashesback to her desperate search for her own missing toddler. Ahhh…strikes close to home. I take it she never found her either. At the Lee home, the family waits on bated breath from some phone call. Mi So gets a call from her father which she ignores as does Min Jae. This worries Yoon…what could have happened? Chan Ki tells him to try the home phone. 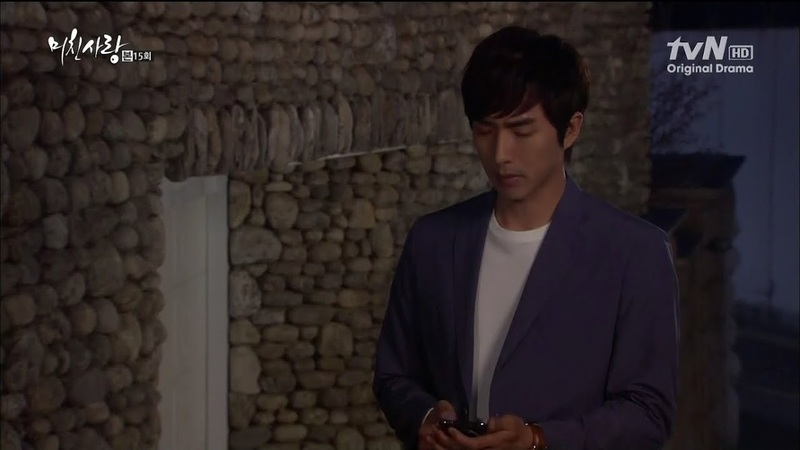 Yoon does and Min Jae anxiously answers thinking it might be the kidnappers. Myung Ja takes the phone away and starts screaming at Yoon for calling all the time and then says that Mi So lost Hae Ram on the streets. She then hangs up and Yoon goes green. 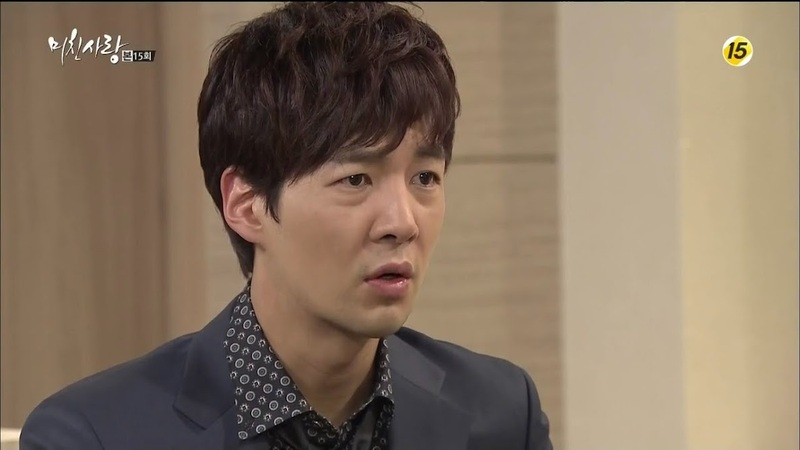 Chan Ki asks what happened and Yoon freaks out…he must have heard wrong, right? Hae Ram can’t have been lost on the streets? This freaks Uncle Chan Ki out as well. Kyung Soo hands over Oh’s order to his subordinate who worries about the fallout from the tenants. Kyung Soo replies they will cross that bridge when they get there and apologizes for having him do such a thing. Kyung Soo then recalls Mi So’s angry words to him. They cut him deeply and you know that he doesn’t wish to do such things. I wish there was a way he could stand up to his father-in-law without causing a huge fallout, but you know that won’t be the case given Oh’s temper and the beginning of the series before we flashed back to how we get there. Na Young meets with Kang Sik. Did he take care not to lose a trace? Kang Sik tells her all that he did and then asks what she will do with the child. Na Young says he doesn’t need to know, just rest assured that the child will not be harmed. She then hands over the money and says that ends their relationship. 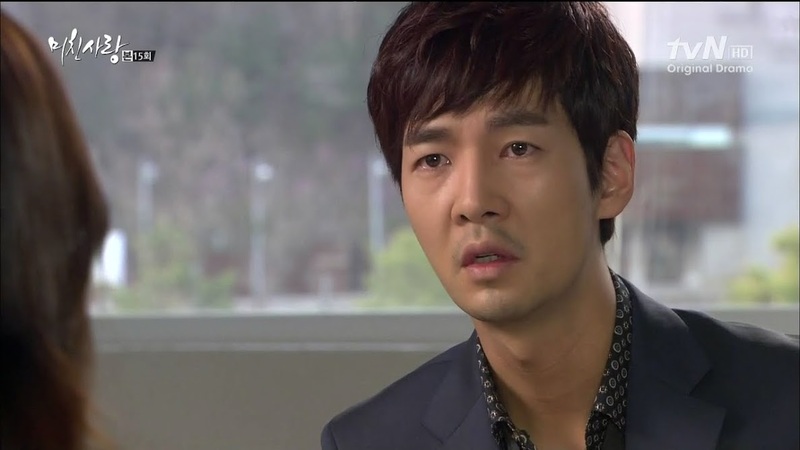 Kang Sik agrees as he wants nothing more to do with her or that dirty job. 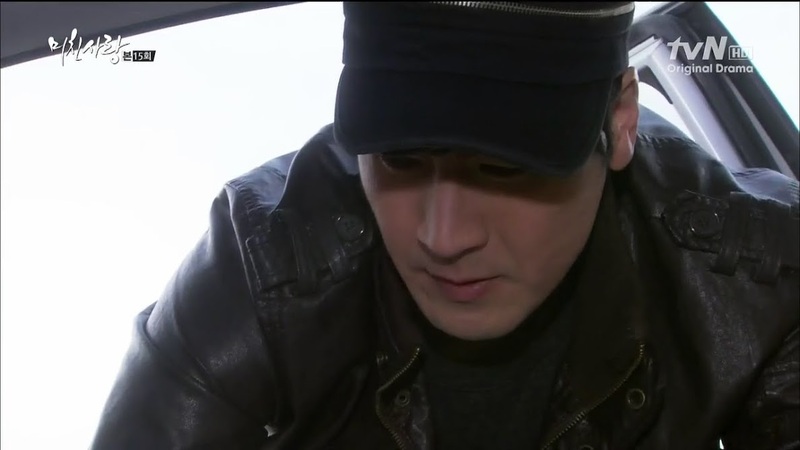 He transfers the sleeping Hae Ram into Na Young’s car. He looks concerned, but he just drives away. Na Young gets in her car and looks back at the sleeping child. She tells Hae Ram not to hate, but her mother who started everything. Wow. WHY does no one take responsibility for their own actions and evil deeds? They blame everyone but themselves. Tsk, tsk. 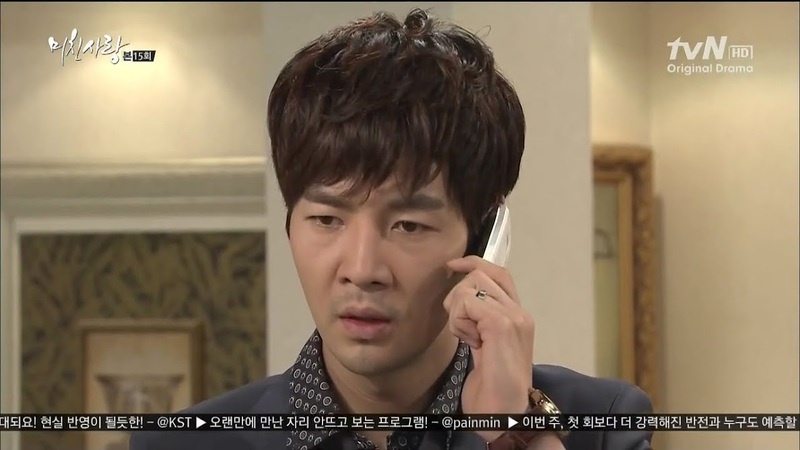 Na Young then calls up her adopted mother who is shocked to hear from her. Na Young then demands to close down the restaurant as Na Young will soon be there. This floors the woman. What happened that her daughter is coming all of a sudden? Na Young doesn’t answer and rushes away. 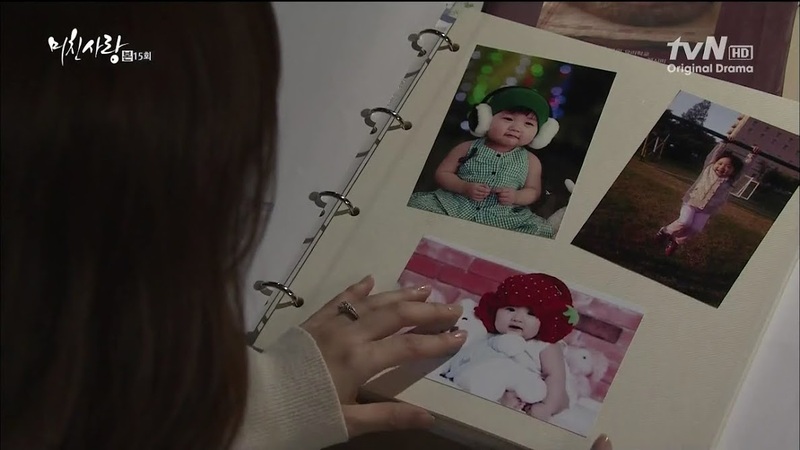 Her mother asks if Hae Ram is Na Young’s daughter. Again, Na Young gives her no information. She hands over money so that her mother will take care of the child for a month. Na Young then warns her mother to not hurt the child as she will not forgive her if she does. Her mother replies that she never hit Na Young. No. But she never stopped Na Young’s father from hitting her or molesting her either. The thickskinned mother complains that all happened in the past. True, but that doesn’t mean you should be forgiven for it. In the end, she chose self preservation instead of helping her daughter. Her mother then complains about Na Young’s gaze and how evil she is. Na Young lays out a strict set of rules. The child cannot be seen and her mother had better make sure that no hair is harmed on her head and that no man comes over. Yoon and Chan Ki rush over to the Lee household to get the whole story. Yoon sobs over his missing granddaughter and blames himself for not taking time off to go with Mi So and his granddaughter. Chan Ki also cries and says he should have been with her, too. Mi So starts sobbing and says it’s all her fault. She let go of Hae Ram’s hand and turned her back for only a second, but her daughter disappeared. Yoon tries to comfort Mi So who looks ill and Min Jae says how he’s angry at his wife for losing Hae Ram. I get it, I do…but…that’s not the best time to say this. He can wait until something bad happens to Hae Ram to be all mad and indignant at his wife. Right now they need to stay strong and give each other support instead of pointing fingers at who is to blame. Go takes to her bed after hearing the news. This surprises Oh. Why would his wife act like that when it was Myung Ja’s granddaughter that went missing? Mrs. Go lies and says that isn’t the case, she’s just tired from work. The two then talk about the family tragedy and Mrs. Go worries about what is happening to the missing Hae Ram. This is overheard by Hae Ryung who came to bring her mother and father some drinks. She drops the tray and Oh comes out running as does Go. Enter Kyung Soo in time to hear Hae Ryung ask if it is true that Hae Ram went missing. Or was the child kidnapped? How could this be? That night after the Oh family goes to bed, Kyung Soo sits up awake and recalls Hae Ryung’s question about Hae Ram. He then gets up and walks to the Lee household where he recalls Mi So happily playing with her daughter. He then flashes to his last conversation with Mi So just before Hae Ram went missing. He also wonders how such a thing could happen. Bad things happen all the time. Sad but true. Of course, Mi So is sitting up and recalling what happened over and over again and crying. Her mommy senses tingle or something and she gets up and goes rushing out. Outside, Kyung Soo goes to call Mi So, but stops himself. He turns to leave as Mi So exits the house. She walks to the street to get a taxi, but she definitely doesn’t seem all there. Kyung Soo follows her and asks what she is doing. Mi So replies she needs to look for her missing daughter. She then says that since there was no phone call, then her daughter was not kidnapped. This means that Hae Ram probably followed someone who looked like Mi So and got lost. She always told Hae Ram to stay put if she ever lost sight of Mi So, so Hae Ram is at the market somewhere waiting for Mi So to find her as Hae Ram is a good girl who listens well. Oh yeah, poor Mi So has definitely cracked. Seeing Mi So like this pains Kyung Soo, but what can he do to help? Mi So goes back to the market and searches for her daughter. She calls for Hae Ram over and over and over again, but o reply. Kyung Soo can only watch silently as Mi So breaks down once more. She cries and hits her chest over and over again cursing herself to die. Kyung Soo finally steps in and hugs her to him so she cannot beat herself anymore. Again, such great acting on Park Sun Young’s part. I wanted to cry watching that scene. Meanwhile the wench Na Young is recalling the sleeping Hae Ram calling out for her mother. Looks like she has a bit of a guilty conscience. Good. Let it eat at her until the day she dies. Evil witch. Anywho, she calls her mother to ask how the little girl is doing and is upset to learn Hae Ram has a fever that is not going down. Her mother even gave her medicine to no avail. Na Young, like always, blames someone else. Her mother is supposed to take care of the little girl and make sure nothing happens! Yegads. You had this child kidnapped…HOW can you NOT take responsibility yourself babo. AIgoo…May Queen was a drama that made me want to swear with how badly it was written and how things were drawn out and handled. This drama makes me want to swear because of the idiots who push blame onto everyone else. Na Young then says she will go there and if worst comes to worst, they will take the child to the hospital. Kyung Soo takes Mi So back home and assures her that Hae Ram will be found. Mi So then thanks him for what he did that night. She goes to enter the house, but Kyung Soo urges her to call him should she need anything—day or night. Mi So thanks him for this and goes inside. Kyung Soo stares after and like her father and brother, blames himself as well. LOL. Omo, omo, omo. The ones who SHOULD be blamed all shirk it and the ones who are innocent all are eager to take on the blame. Terrific. I’m laughing at the absurdity, but that is actually what happens in life, so…yeah. Kyung Soo says he should have visited her in person instead of just calling. Well…this really does show how much Kyung Soo has come to care for this woman. Once Mi So gets into the house Myung Ja immediately starts cursing at her for acting like a cat in heat and roaming outside all night. Is she enjoying herself? Somebody slap this woman already. Meanwhile, Na Young is almost out the door and begins panicking. Will she really take the child to the hospital or stay next to her all night? Geez. Just when you think her conscience might exist she starts worrying for herself and only herself. Meh. Back at the Lee house, Mi So makes herself some food which Myung Ja takes away. She calls her a repulsive woman for eating after abandoning her child. Mi So takes the food back and says she must eat and live to find her daughter. Myung Ja is taken aback. What a crazy freak! Mi So says nothing and only sniffles as she eats. Na Young is again talking to herself in front of the mirror. Psycho. She vows to make sure to never allow Mi So to find Hae Ram while Mi So vows to do whatever it takes to find her daughter. And that’s where this episode ends. You know what makes me happy? The fact that Baek finds out the truth!!!! Well…about Na Young getting Kang Sik to do a bad thing, not about Mi So. I don’t think he’ll protect her any longer for doing something to hurt one of his men. He may work for a loan shark, but again, he’s a goodhearted man. He cares for people and takes care of them and tries to make sure they don’t muck up their own lives. Na Young is a complete lost cause. What makes me unhappy? Well, Crazy Lady’s shamelessness and the fact that it looks like Mi So is going to have a bit of a mental breakdown in the next episode. 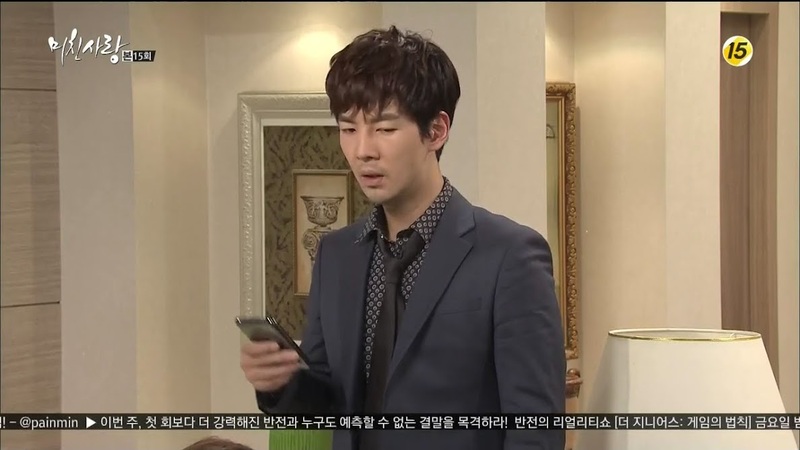 Totally off topic…I kind of liked scruffy Min Jae. The man can’t do very good crying scenes, but scruffy him up and have him look at pitiful or dead and he excels at that…go figure. I tried not to say it, but couldn’t help myself 😛 The man is not a bad actor…he just can’t cry worth a darn. Take a look at Park Sun Young’s scenes beforehand and his are just soooo horrible. Yeah, I don’t condone violence against women, but when I saw that slap was cheering gleefully. Now…what will he do when he learns who Mi So is? Oh, I can imagine that once Baek learns who Mi So is he will definitely hate Kyung Soo more. But…even though I like Baek, I don’t think he’s the right fit for Mi So. I think Kyung Soo is better at this point, but otherwise, I’d totally ship Mi So and Baek and do an “in your face!” to Na Young when the hated Mi So ended up with the man Na Young’s loved for 20+ years. It’s disturbing that Baek has hung on to Mi So for that long and equally disturbing that Na Young, knowing Baek’s obsession held on just as tightly. Thank you. I watched ep 15 but still enjoy your recap.